“This afternoon, a school bus operated by First Student Inc. crashed on I-95 Southbound. The bus was carrying 22 students from the Ephraim Curtis Middle School. The students, who are part of our Metco Program, were on their way home to Boston when the crash occurred. “Thankfully, no serious injuries were reported. However, all 22 students were taken to three area hospitals out of an abundance of caution, and we applaud the efforts of police, firefighters, and rescuers. 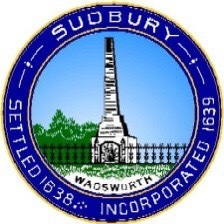 Sudbury Public Schools has sent faculty, staff, and administrators to the three area hospitals to assist our students and work directly with affected families. We will provide whatever resources are needed by our students and families. “We are so grateful that it appears none of our students were seriously injured. “Schools will operate on a normal schedule tomorrow, and a replacement bus will be in service to transport all students to and from school. “The crash is under investigation by the Massachusetts State Police. Sudbury Public Schools are in regular contact with the State Police.